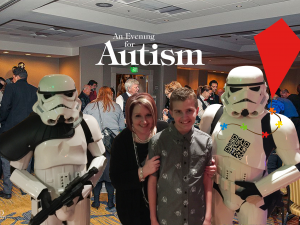 Open Autism Awareness Month with other Dads who get it! Attention Autism Dads: start out April Awareness month, and set the stage for an all new Autism Dads group with a BBQ and potlach (noting that the Center is nut free) at the ARROAutism Westside Family and Community Center in Beaverton, Oregon. This joint ASO and ARRO initiative aims to become a monthly event, recurring on the afternoon of the first Sunday of each month. Don’t wait though, because ony those who attend the BBQ on April 1st, 2012 will have first dibs on naming our new group! There is no cap on the number of attendees, but please RSVP so we can plan for food etc. For this initial meeting, we encourage you to come without your kids so that you have greater opportunity to meet other Dads and have conversations you wouldn’t have with with your kids around. If you find you can only come with kids, please let us know as soon as possible and we will “try” (no promises here) to arrange to have someone available here to help watch them, or can put you in touch with someone who may be able to help.